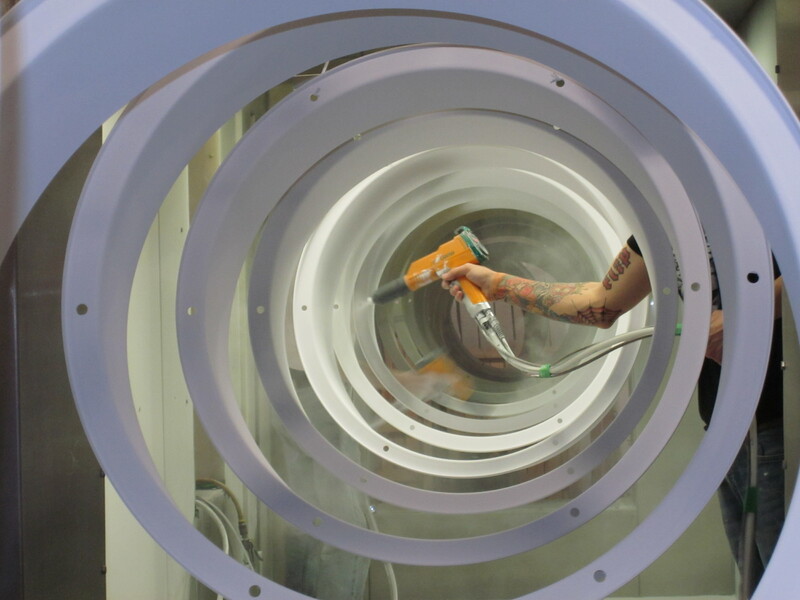 Powder coating is available in TGIC polyesters, non-TGIC polyesters, hybrids, epoxies, and urethane chemistries, smooth, textured or wrinkle. 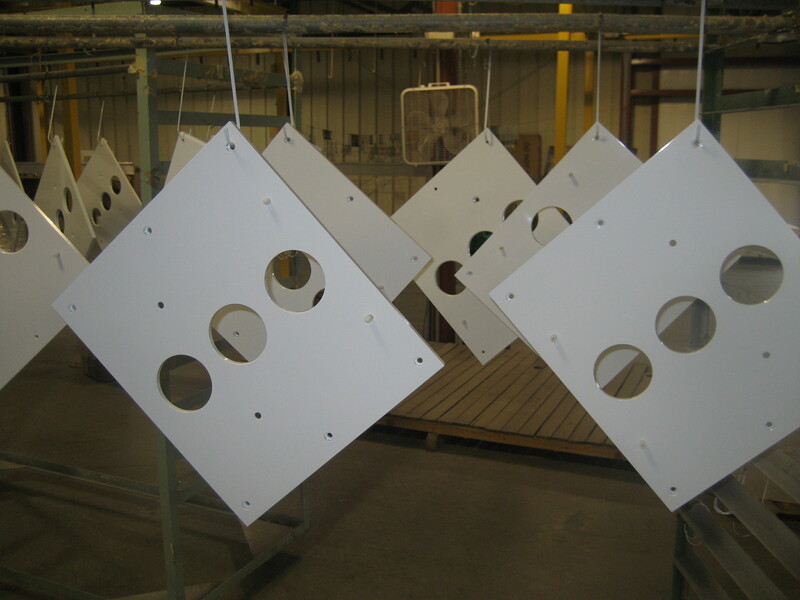 Polyesters offer good chemical and abrasion resistance and excellent UV stability. These powders are designed for protection of any equipment that is exposed to outdoor service conditions. 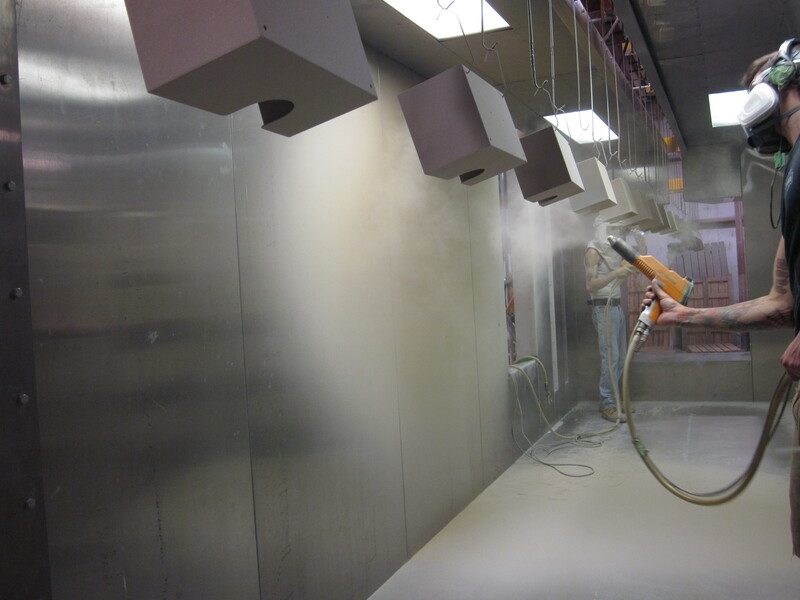 Epoxies offer excellent chemical and abrasion resistance for components in harsh service environments. 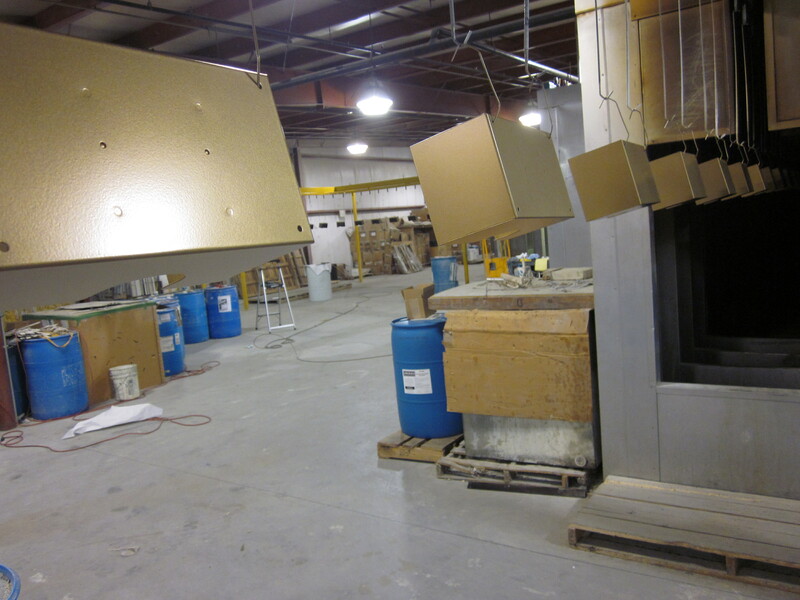 Urethanes and hybrids offer a balance of the attributes of either epoxies or polyesters. 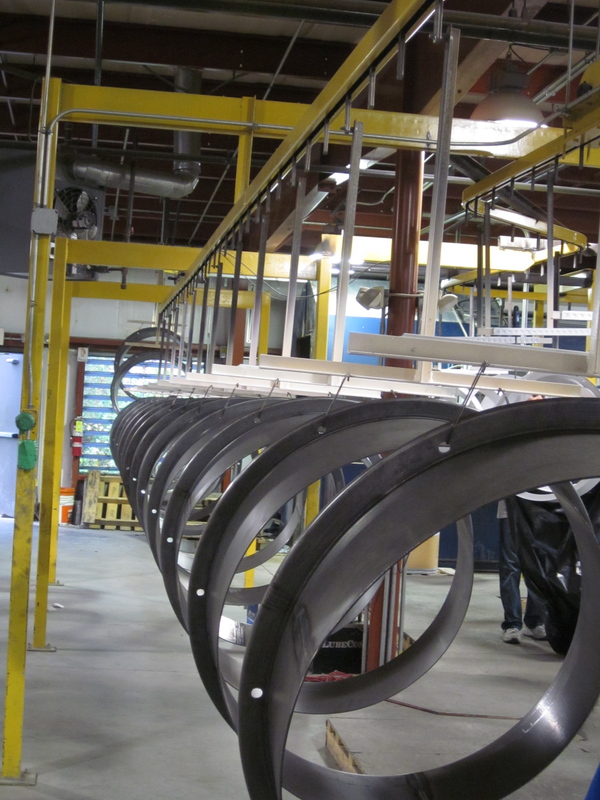 Our 400 foot automatic powder coating line is capable of applying the specified finish on large volumes of parts efficiently and economically. 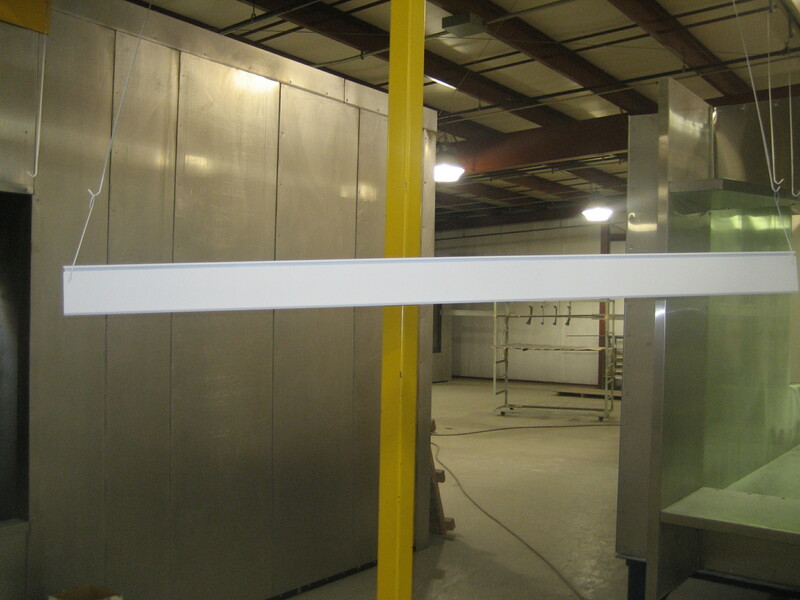 The effective work envelope at Consolidated Coating Company is 32”w x 43”h x 84”l. 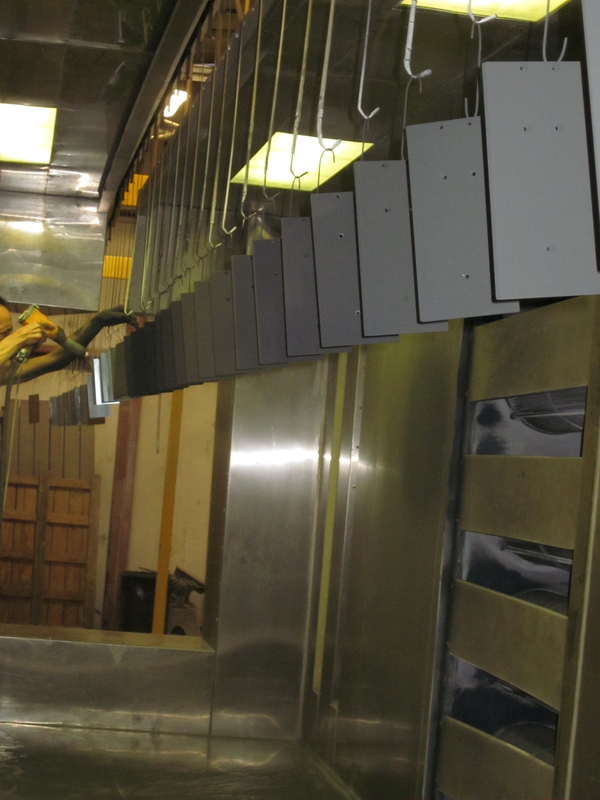 A. Powder coating a type of coating that is applied as a free-flowing dry powder. 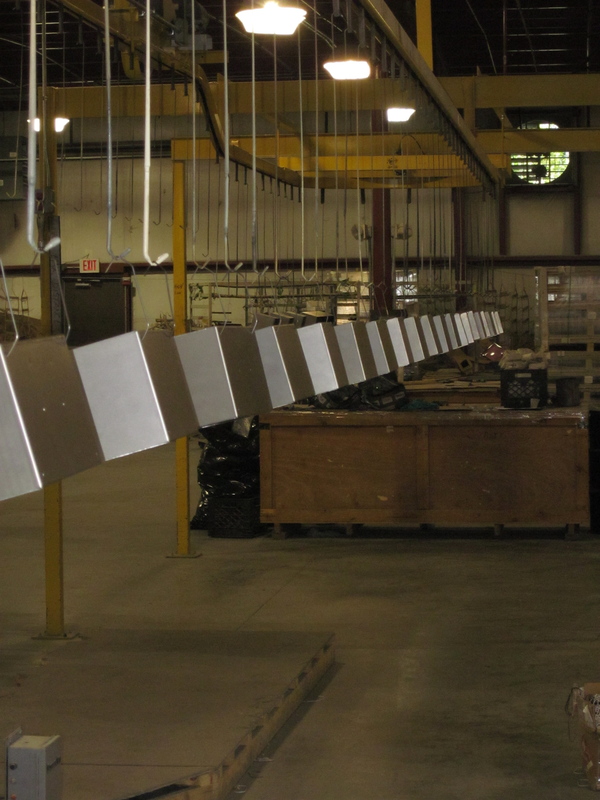 The coating is typically applied electrostatically and is then cured under heat to allow it to flow and for a skin. 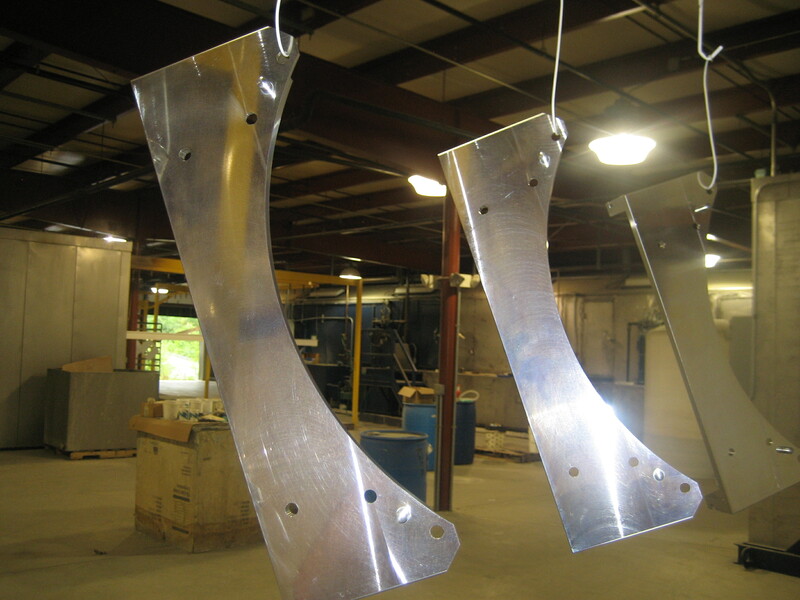 It is usually used to create a hard finish that is tougher then conventional paint. Q. What makes the powder stick? A. There are two make factors involved in making the powder stick. 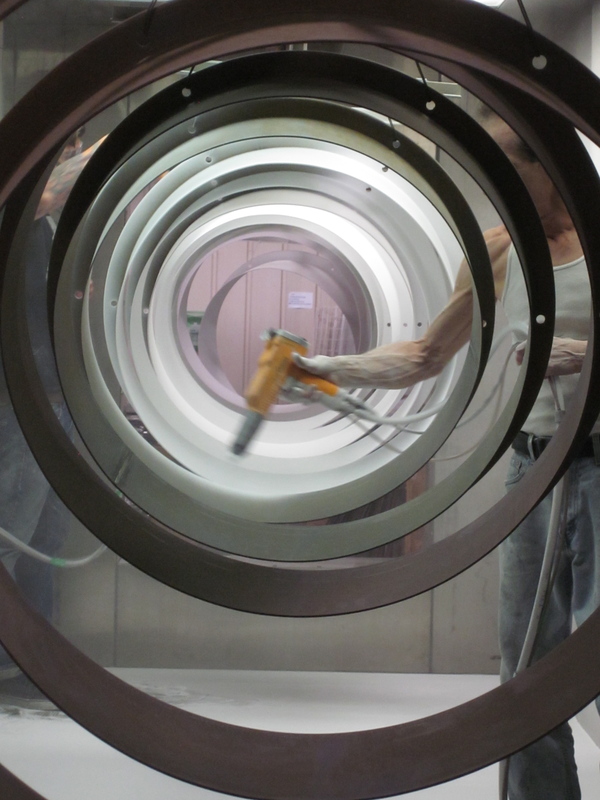 Each part is cleaned with pretreatment washer. This will remove any grease, dirt and anything else that might interfere with the painting process. Q. 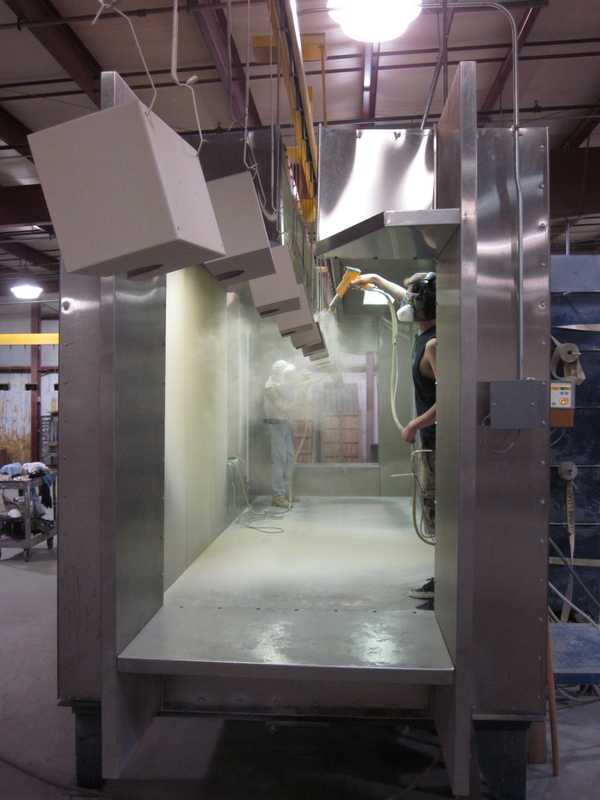 Why do you need to bake powder coating? A. 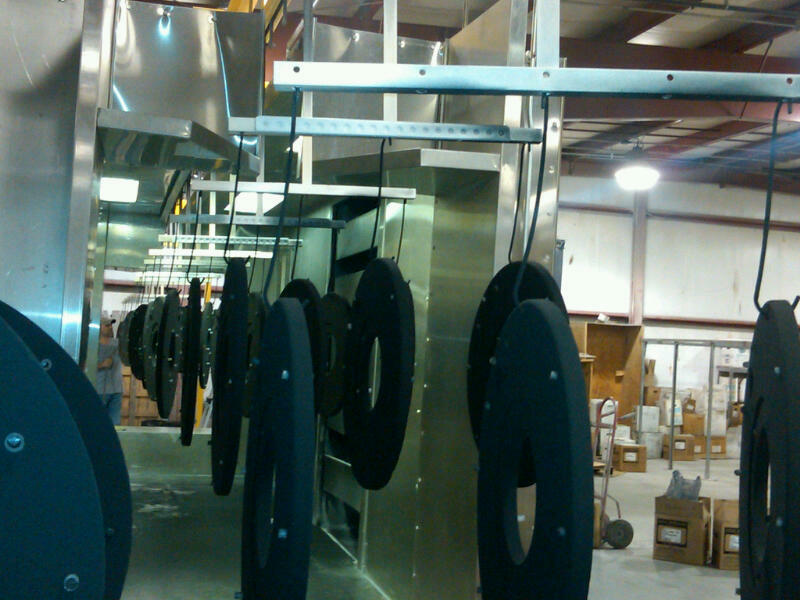 After the parts are coated with powder, they must be properly baked within a proper temperature range. Oven heat will cause the powder to melt and form a plastic sheet around the part. 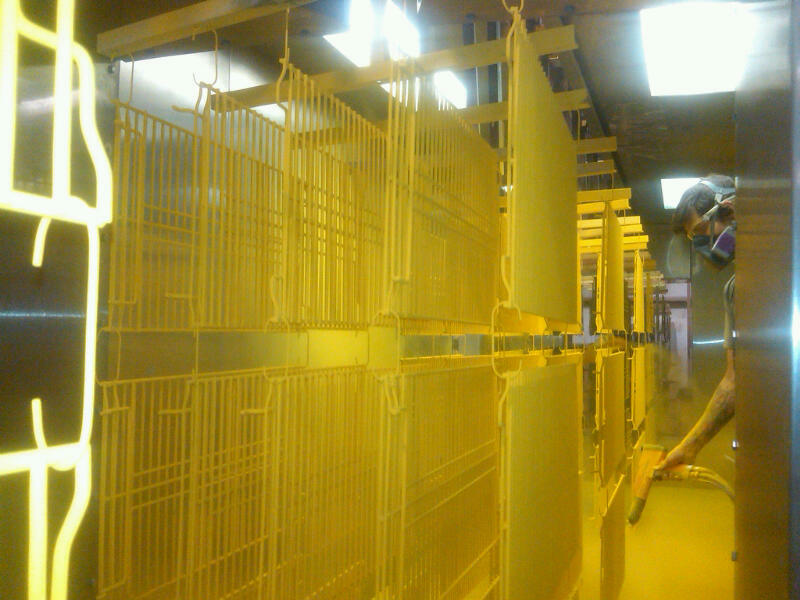 Baking will give the paint durability and finish. All work before getting packaged goes directly into the QC room. Nothing is shipped unless it is perfect.